Big Apple Con is this Saturday, March 5 at the Penn Plaza Pavilion in New York City across from Madison Square Garden. 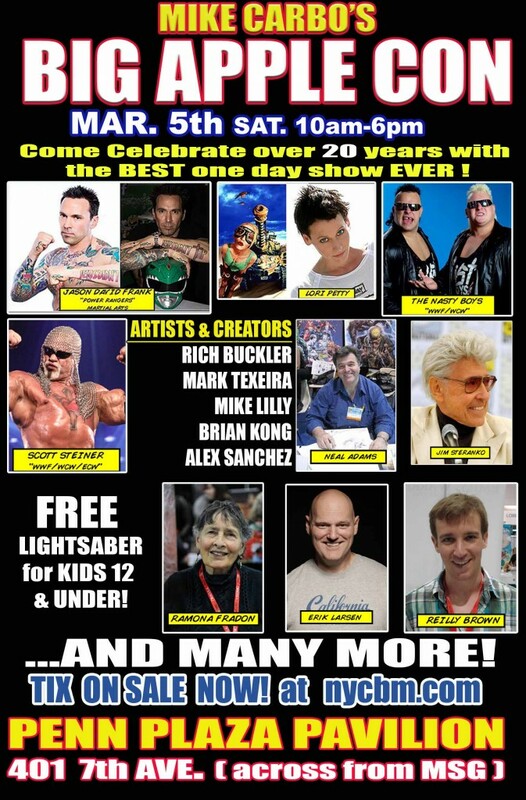 The list of celebrities scheduled to appear at the show include: Jason David Frank, Lori Petty, the Nasty Boys, Scott Steiner, Neal Adams, and more. We'll be paying cash for comic books all weekend long! If you have comics you are looking to sell and will be at the show, or are just in the NYC area - contact us! Call toll free 1-888-440-9787 ext. 117, email [email protected], or fill out our sell comic books form here. Check out our complete comic buying travel schedule as well as what comics we are buying here.